Bayer 04 Leverkusen recorded their first victory of 2016 with a comfortable 3-0 win over struggling Hannover 96. The fans were treated to entertaining opening to the match, as chances fell for both sides on a greasy, rain-soaked surface. Stefan Kießling glanced a header against a post and Hakan Calhanoglu twice stung the palms of Ron-Robert Zieler, while Hannover’s Hugo Almeida fired over from an angle at the other end. Thomas Schaaf’s team appeared to be heading into the break on level terms, but their resistance was broken on 44 minutes when Kießling made no mistake from another chance at a corner to nod in his fourth goal of the season. The points were then effectively settled on the hour-mark, as Javier ‘Chicharito’ Hernandez stroked home a penalty following Hiroki Sakai’s foul on Kießling. The 27-year-old then added a final flourish with a superb solo effort, tying a defender in knots and calmly finishing into the corner. Chicharito had a quiet first hour but showed even on a ‘bad’ day he is still Leverkusen’s main man in front of goal, scoring with a well-taken penalty and a sumptuous late finish. Leverkusen were not at their best here but were still good value for the win. Coach Roger Schmidt will be delighted with a first victory of the calendar year, but also by the fact that his side is capable of playing far better. Chicharito opening his account for 2016 will also come as a boost, especially with the champions FC Bayern München set to visit the BayArena in a week’s time. 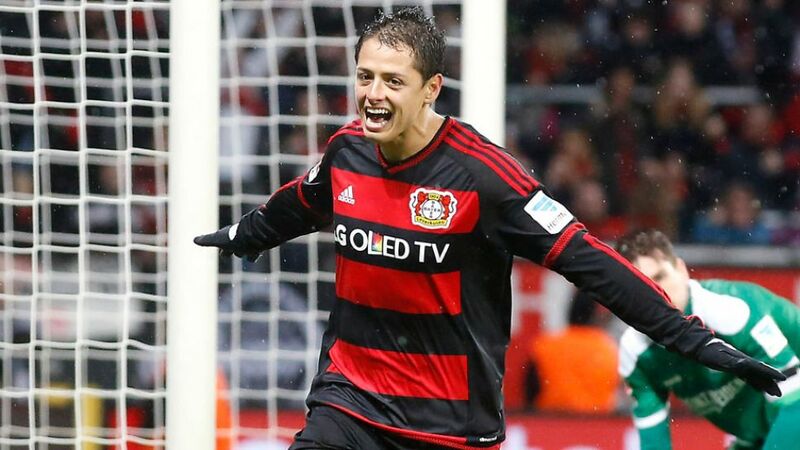 Kießling’s four league goals this season have all come at home, while three have been headers.Chicharito has now scored 13 league goals in just 16 Bundesliga appearances.The Mexican’s penalty was the first scored in the league by a Bayer player since Kießling netted against Eintracht Braunschweig in March 2014.